The Prince of Orange [later King William I] was delighted. He was going to be a king, and king of an enlarged kingdom as well. It was more than he could have dreamed possible. But so far no one bothered to mention it to the future Queen of England or the Prince who might one day succeed his father as King William II of Holland. Nevertheless there were too many whispers. Charlotte was sure that the plan was true, and she was in two minds about it. On the one hand the Hereditary Prince of Orange came from a family that her mother ‘detested’, and Charlotte would never ‘be tempted to purchase temporary ease by gratifying the Windsor & Ministerial cabals’. On the other hand, if the Prince had enough ‘qualities of the head & heart’ to make him ‘likeable and desirable’, he offered a chance to change her life for the better, even if ‘love’ was ‘out of question’. All that was certain for the time being was that Charlotte was prepared to give the plan a chance. But her first experience of the House of Orange did not leave her with a good impression. It was on 12 August, at the Prince Regent’s birthday party – the one to which Charlotte went without a present. The party was held at Sandhurst, the new home of the Military Academy. In the morning ‘the Great UP’, now Bishop of Salisbury, consecrated the chapel, and the Queen presented new colours to the cadets. In the evening, the entire company sat down to dinner. The royal family and the guests of honour, including the Prince of Orange, who was in England to negotiate his son’s future, sat at a table inside the house, and all the other guests sat in tents in the grounds. According to Charlotte, the only man in the royal party who was not ‘dead drunk’ was her favourite uncle, the Duke of Brunswick. 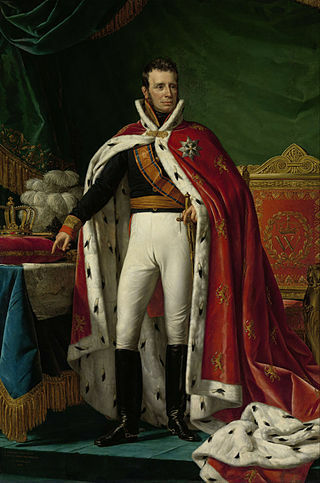 In the course of the evening the Prince Regent slid silently under the table, where he was eventually joined by the Prince of Orange, the Commander in Chief and almost all his ministers. By the time they got there, the dishevelled Prince of Orange had managed to discard his coat and waistcoat, most of the ministers were incapable of speaking and the Prime Minister, Lord Liverpool, was in such a state that, by his own admission, he could not remember next day where he had been or who he had been with. The last to fall was the Commander in Chief, the Duke of York, who did so by rolling backwards out of his chair, banging his head against a wine cooler and pulling the table cloth and everything on it on top of him. He was revived by the Duke of Brunswick, who poured iced water over his head, and he was sent back to London in a post-chaise, wrapped in a greatcoat. When the Queen left, she was kept waiting for ‘a full half hour’ while various nervous equerries searched for her host and helped him out to see her into her carriage.